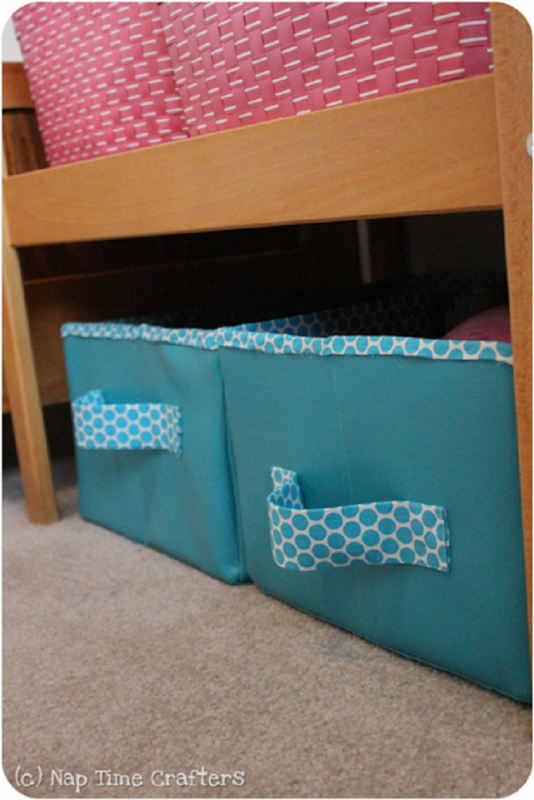 Storage bins are already one of the most important thing in every home! To be organized you need to keep in order so many things, especially those little ones like sewing supplies, cords and chargers, toys from the kids, eve to keep there your socks, jewellery or diapers and wipes. 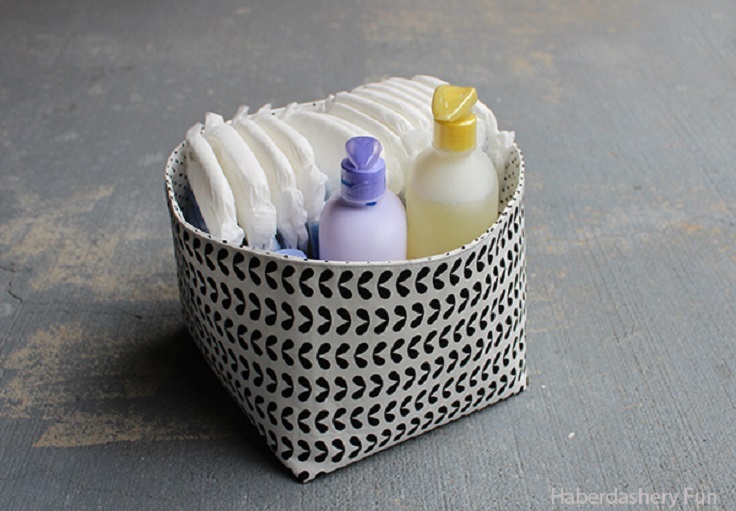 But did you know that you can make these useful bins by your own? Instead of spending more money on buying them, make them! 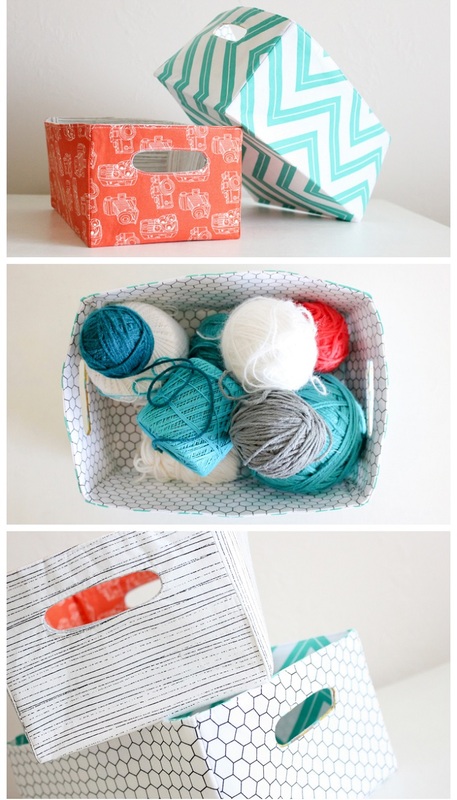 There are probably so many different ways to make fabric boxes and in so many different shapes: squares, rectangles, angled edges, etc. Just provide yourself with the needed supplies and get busy! The fabric we chose was some home decor fabric. So like a thick fabric that they sell for like outdoor fabrics, or to recover wooden chairs or stools with. But not that super thick couch-like upholstery fabric. That would be hard to work with, and too heavy. Wouldn’t they make an awesome baby shower or house warming gift? Fill it with a bunch of goodies and you are good to go. The only problem we see is that if you make one to give as a gift, you may decide to keep it at the last moment. We used our seam ripper a tad too much on this project. Our brain was somewhere else and we kept messing things up. As a result we stretched the seams and the top edge is wavy. But the final result, you can see it here! These buckets are perfect for toys storage. 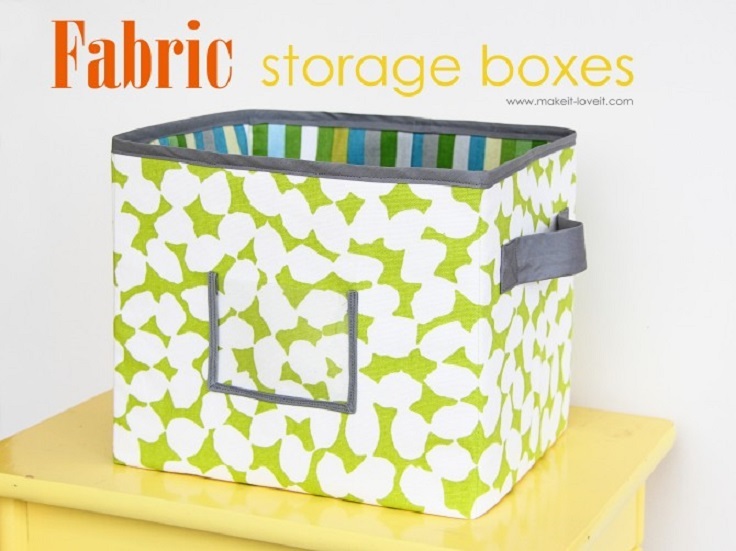 Of course, toys aren’t the only thing you could store here – they’d also be good for knitting supplies, fabric scraps, hats & mittens, a pretty covering for a potted plant? Whatever you want! 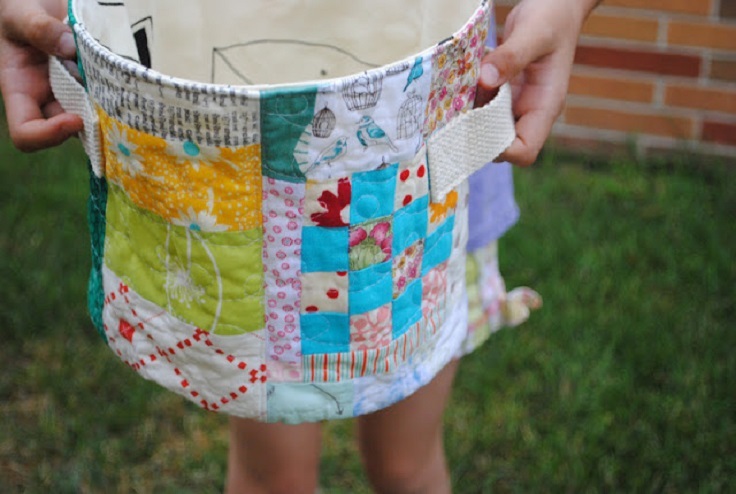 There are two main body parts of the patchwork bucket. Find the round shape that’s in your desire size of making the bucket. 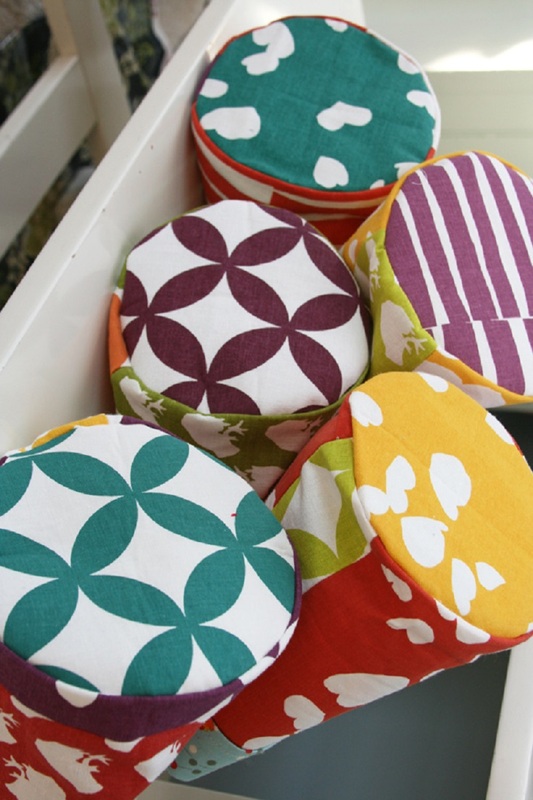 You will find that you might waste the four corner fabric pieces, so put your round shape on top of your fabric piece before you cut out that would eliminate the fabric waste. Bond the fabric to the cotton batting. To get started on this tutorial you won’t need much. Fabric, a spring, scissors, some pins and something to trace onto fabric. We think this project is pretty darn easy. There are a few curves that you are sewing, but they aren’t tight curves and feel just like sewing a straight line. 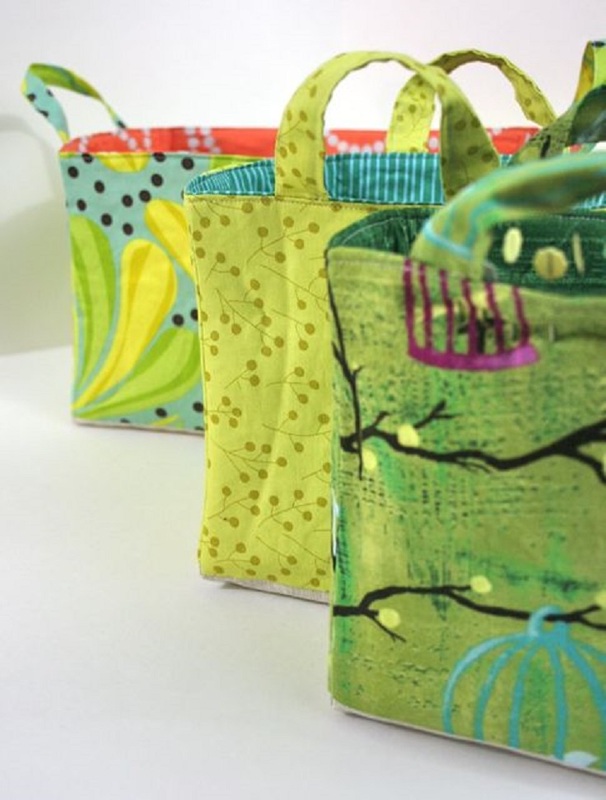 The result is a fun springy basket. 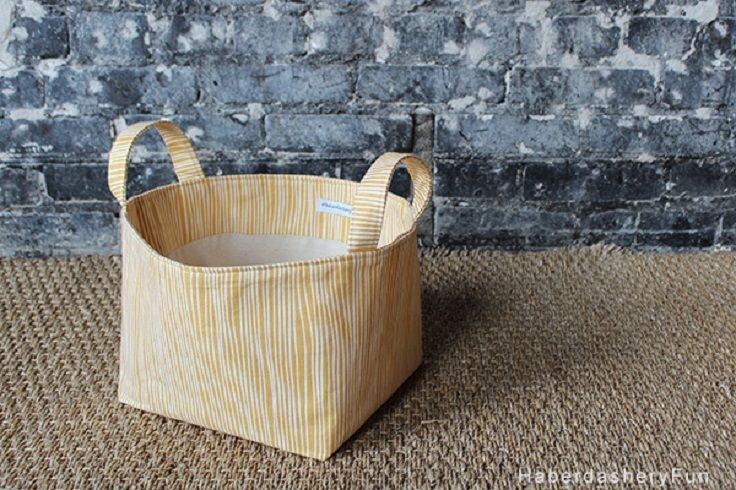 It’s a cute customized basket, great for storing almost anything. A pretty solution to your organization woes. 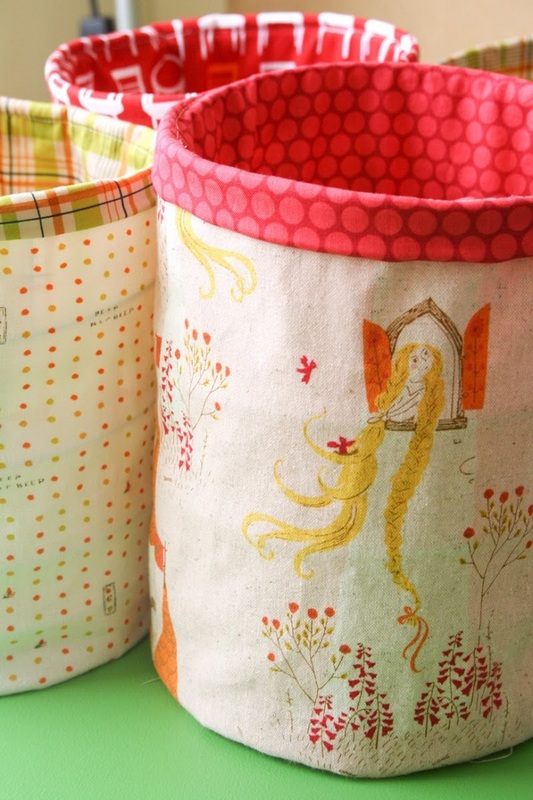 The sides can flex out depending on its contents, it is a fabric basket after all. But you can repress it in shape if it gets out of whack, or just leave it rounded and don’t fuss with pressing it at all. These are all batted with a fusible fleece that we had on hand so they’re fairly soft-sided. 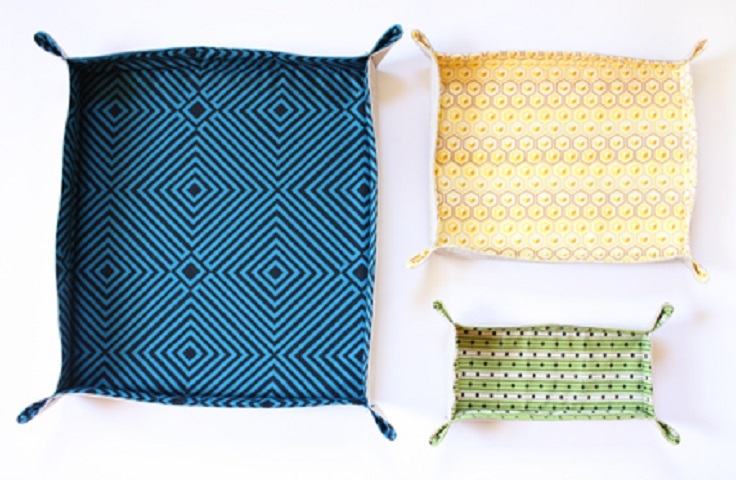 The flexibility of the shape makes them even more useful for us, though, since they can be filled with handwork and then smooshed up into a bag to take in the car. This is a great project to make to combine with a few other goodies for a hostess gift, a gift for your not-so-organized husband as a place for him to set his glasses and wallet and spare change, or for a special friend. Fill it with treats, magazines, recipes, anything works!